Maryland Fire Tech can provide an alerting system for your Fire or EMS department. Our systems are adaptable to many environments with several standard features available. Simple and effective, our alerting system will meet your requirements without breaking your budget. Regardless of switch position, selected lights will activate during an alert. Bunk rooms, common areas, and hallways are useful areas to enable this feature. Lights will stay on for a specified period of time, usually between 2 and 5 minutes. Strobes attract visual attention. They are ideal in places where distractions occur or the surrounding environment is noisy. Apparatus bays, hallways, and bathrooms are examples of good locations to install strobes. The speaker volume gets forced to the highest volume available for a specified period of time. This ensures pertinent information is not missed during a dispatch. A brief “warble” tone plays over station speakers. This grabs attention and prepares the fire/EMS personnel for the incoming audible dispatch. Heart-safe tones are also available. 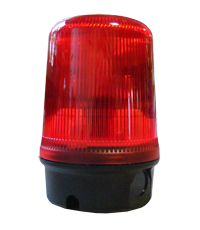 Our alerting system is the perfect solution with superb effectiveness in terms of both cost and function.